Dr. Sharlene Day graduated from the Massachusetts Institute of Technology and received her MD degree from New York University School of Medicine. She completed her internal medicine residency and cardiovascular medicine fellowship at the University of Michigan. Born and raised in Scotland, Dr. Euan Angus Ashley graduated with 1st class Honors in Physiology and Medicine from the University of Glasgow. He completed medical residency and a PhD in molecular cardiology at the University of Oxford before moving to Stanford University. Dr. Steven Colan graduated with a degree in mathematics from the Massachusetts Institute of Technology and got his MD degree from Boston University School of Medicine. He completed his pediatric residency at Massachusetts General Hospital and completed his Pediatric Cardiology Fellowship at Boston Children’s Hospital in 1984. Trained in Florence and London, Dr. Olivotto has pursued a career in Emergency Medicine and subsequently in Cardiology at Careggi University Hospital in Florence, Italy, where he currently serves as staff physician. Dr. Michelle Michels studied medicine at the Catholic University Leuven in Belgium. After graduating with great honor she completed her internal medicine residency in Leuven. Dr. Carolyn Ho is an Assistant Professor of Medicine at Harvard Medical School and Medical Director of the Cardiovascular Genetics Center at Brigham and Women’s Hospital. Dr. Gunnarsson studied medicine at the University of Iceland. He completed his internal medicine residency and cardiology fellowship at Sahlgrenska Hospital Gothenburg Sweden and graduated with a PhD degree from the University of Gothenburg. John Lynn Jefferies, MD, MPH, is Director of the Advanced Heart Failure and Cardiomyopathy Services at Cincinnati Children’s Hospital Medical Center. He is also an attending Heart Failure Cardiologist at the University of Cincinnati Hospital and the Christ Hospital in Cincinnati, OH. He specializes in advanced heart failure and cardiomyopathy care of both children and adults. Associate Professor Jodie Ingles PhD, MPH is Head of the Clinical Cardiac Genetics Group, Molecular Cardiology Program, Centenary Institute and The University of Sydney. She is a cardiac genetic counsellor in the Cardiology Department, Royal Prince Alfred Hospital Sydney and National Coordinator of the Australian Genetic Heart Disease Registry. Daniel Jacoby graduated from Yale College and Yale School of Medicine. He was a resident and chief resident in internal medicine at The Mount Sinai Hospital in New York City, and did his cardiology training at Columbia University Medical Center. Dr. Jacoby joined the faculty at the Yale School of Medicine in 2009 where he is the Medical Director of the Advanced Heart Failure Program. James Ware is a Clinical Senior Lecturer in Genomic Medicine at Imperial College London and Consultant Cardiologist at Royal Brompton and Harefield Hospitals, with a special interest in inherited cardiac conditions. 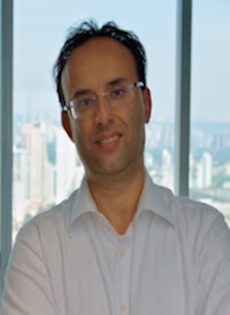 Dr. Alexandre Pereira holds a Bachelor's of Medicine from the Universidade de São Paulo (1999) and doctorate of Cardiology from the Universidade de São Paulo (2008). He has experience in Molecular Medicine and Cardiology, focusing on Predictive Medicine. Professor Semsarian is a cardiologist at Royal Prince Alfred Hospital; a Professor of Medicine at the University of Sydney; and Head of the Molecular Cardiology Program at the Centenary Institute, Sydney, Australia.